The bovine spongiform encephalopathy (BSE) epidemic has been monitored in France since the end of 1990. The surveillance has been considerably enhanced since 2000, and today every cow aged 2 years or more is tested at the time of slaughter, culling or death. As of 1 May 2002, 613 native cases have been identified, 287 of them by the mandatory reporting system of suspect clinical cases or complementary programs, 213 by active surveillance of fallen stock and 113 by testing at the abattoir. The analysis of reported BSE cases shows a higher number of cases born between 1993 and 1995, which can be linked to a greater exposure at that time and to an increase in surveillance efficiency. When the clinical onset related to overexposure ends, the future trend of the BSE epidemic in France will depend on the efficiency of the control measures implemented since 1996. An indicator of this will be the number of BSE cases born among recent cohorts. 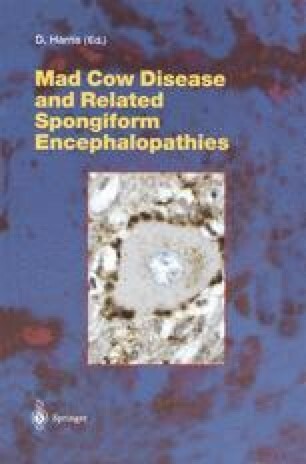 Bovine spongiform encephalopathy (BSE) was described first in 1987 in Great Britain (Wells et al. 1987), where a huge epidemic started, and more than 180,000 cases have been detected since then in this country. A risk analysis undertaken in France in 1990, in part because of the amount of meat and bone meal (MBM) imported from Great Britain during the 1980s, led to the conclusion that BSE might have spread to France, and that sporadic cases might be observed (Savey et al. 1991). Epidemiological surveillance was therefore set up at the end of 1990, and control measures were taken to prevent the development of the disease. The trends in the number of BSE cases detected in France must be analyzed in the light of both the detection system and the control measures, as well as their changes over time.